One of the coolest things about having taken up Tenkara as a fly-fishing fascination was—its minimalist underpinning allows for a little more creative latitude. By this I mean that the creative side of fly-fishing is usually confined to the tying of flies alone; the equipment end of it is usually a pre-baked cake. Rods are expensive and specialized, lines are weighted and tapered, or weighted for sinking, or made to float with a forward taper, etc. leaders are tapered at the manufacturers level, and very few take the trouble to taper their own by sectioning declining tippets diameters. Understand this: I am not a classic do-it-yourselfer. I HATE mild carpentry at best and ad hoc plumbing at worst. I’ve said it before, the 35th trip to Home Depot to have to acquire “one more thing” or a “special tool” literally imperils my very soul. And—it plays. I’ve even used it publicly twice. Tenkara fishing allows one to go about as Isaak Walton retrograde as one desires. Me? I tie traditional flies, as it were, even though my hooks are standard ones. Soon I’m ordering eyeless hooks—ones in which the very connect point itself must be fabricated. But for now, I am enjoying making my own tapered leaders from horsehair. Now, I DO have access to horses, and I imagine I could organically cultivate the hair with which to start the furling process, but I have not done so yet. Chris, at Tenkara Bum has done that amount of culling for me. In short, the horse hair leader is—so far—the finest casting line I’ve used to date. It even looks amazing with a degree of quasi-backlit support from the warm June sun. Tenkara USA—a company I would work for in a heartbeat—has a great page on making a fishing net. I was shocked at how theoretically easy it might be—albeit time consuming. I have this latent fantatsy of fly fishing with nothing but objects cultivated from the Walton-era garden. Maybe one day, I’ll go the full Richie Blackmore. 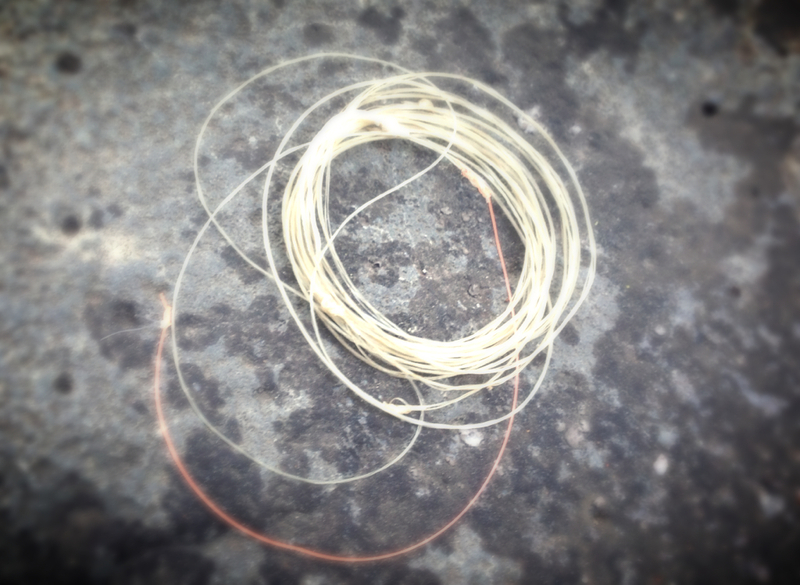 This entry was posted in Fly Tying, Tenkara, Uncategorized, Writing and tagged C.S. 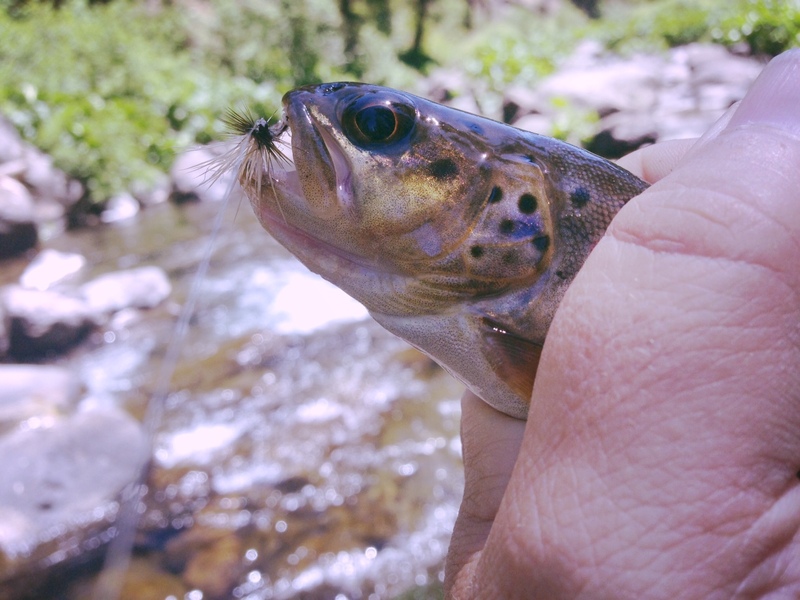 Lewis, fly, fly fishing, kebari, McCloud River, Tenkara. Bookmark the permalink. 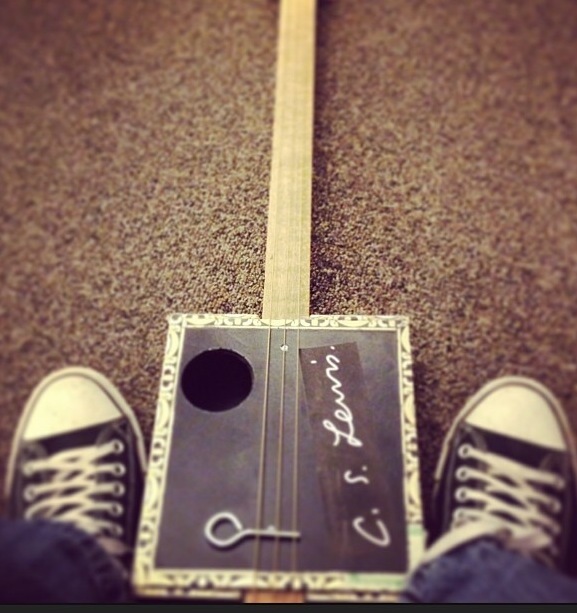 Any videos of you playing the cigar box guitar? What are the strings tuned to? Hey, pretty cool. Sounds great!